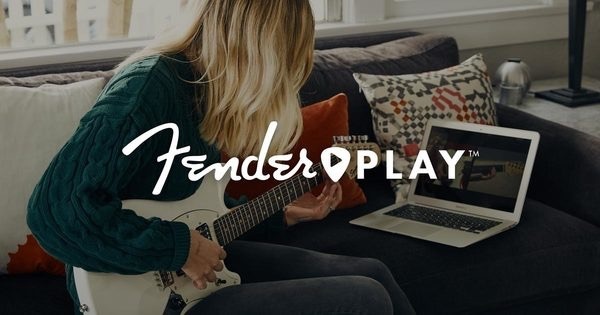 Fender Play offers new and returning guitar players an intimate, easy-to-use online platform to learn the skills necessary to really play guitar. 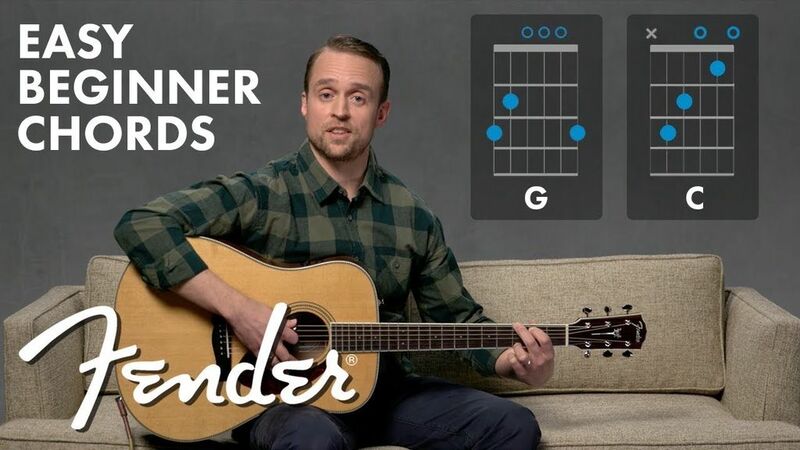 Lessons are song- and riff-based using popular and instantly recognizable songs, and the ever-expanding song library spans a variety of genres with even more being added in the coming months. 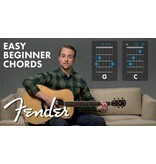 Don't just learn guitar. Go Play. 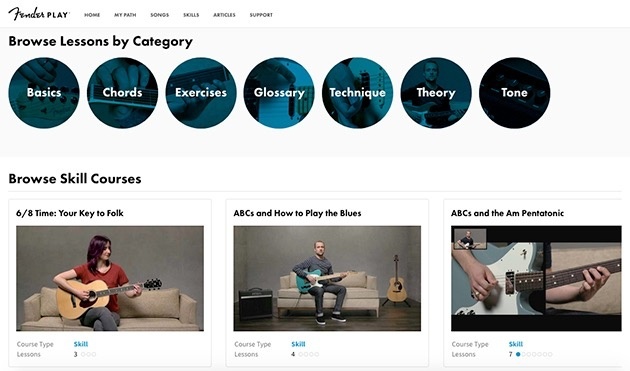 Learn through song- and riff-based lessons from an ever-expanding library of popular artists across 5 genres: rock, pop, country, blues and folk. 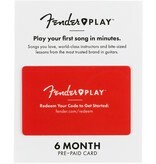 Stay motivated by automatically tracking your accomplishments as you master skills and play songs. Follow the guided curriculum or jump around to different bite-sized lessons to learn how you want, when you want. 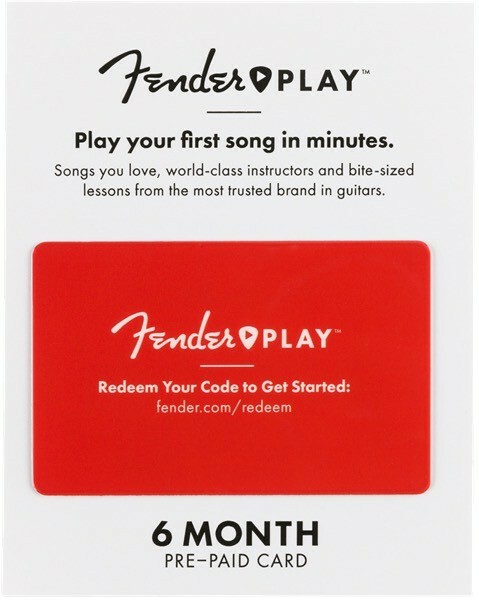 Fender Play instructors make learning guitar easy and fun, with step-by-step teaching and perfectly-placed camera angles. 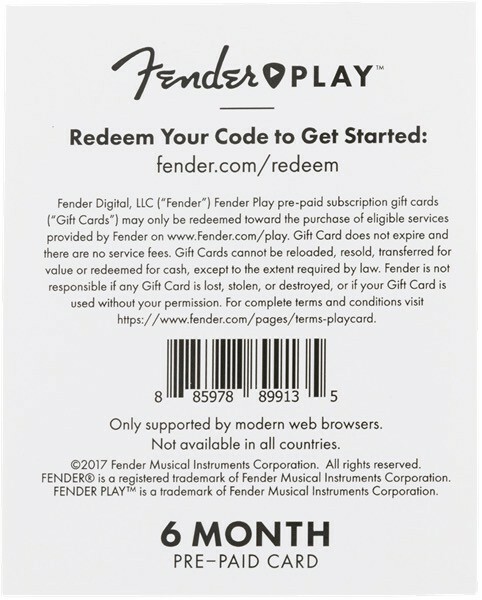 Fender's Facebook group gives new and returning players a safe place to ask questions, get advice and join a budding community. From ongoing support articles to maintenance advice and even gear-buying tips, there's always something new to learn. 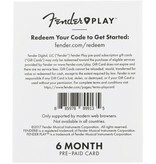 One subscription gets you access to Fender Play desktop, mobile and the iPhone app. 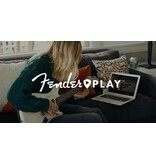 Fender Play can be used on a desktop/laptop computer, and can be used on the go with the Fender Play app for iPhone. It will also be available for use on Android devices and more platforms soon.